Dipa Karmakar didn’t win gold, but she sure won our hearts! At the Rio Olympics vault gymnastic finals this Sunday, we all had our fingers crossed for Dipa Karmakar. 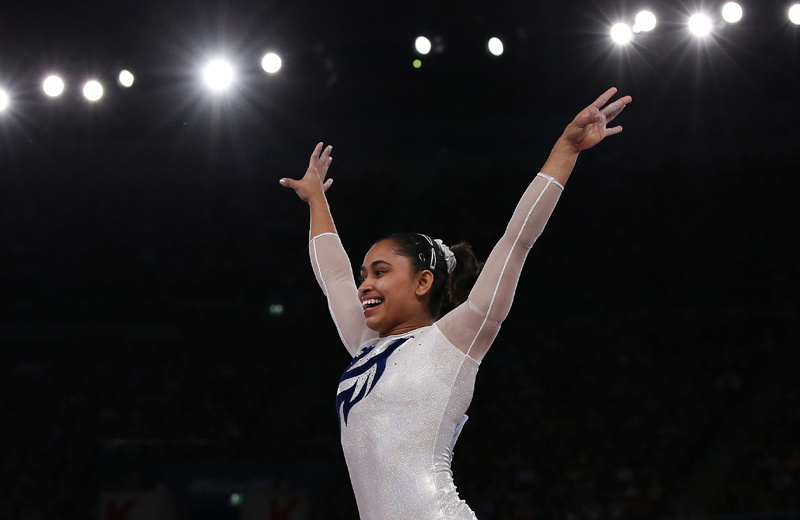 She is the first Indian female gymnast to participate in the Olympics! Her vaults gave her a total score of 15.066, which had landed her in the silver position until Russia and US pushed her down to the 4th position. Despite her loss, she smiled with determination in her eyes and hope for the future. The ‘Produnova’ a.k.a the ‘death-vault’ is one of the toughest vaults ever. It has the highest difficulty value of 7.000 and can result in death! 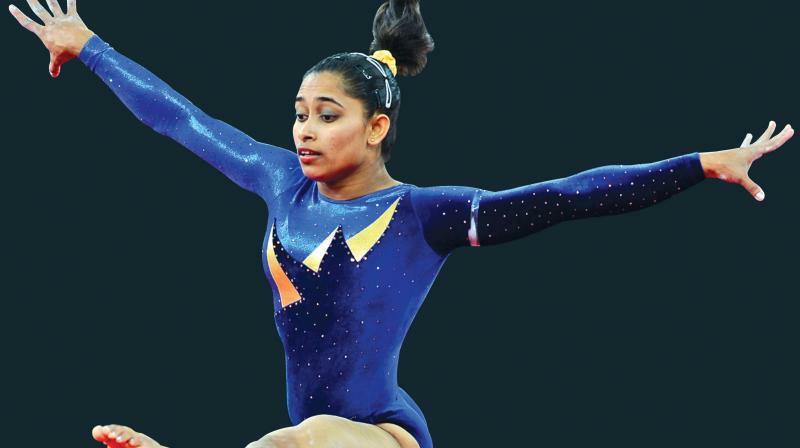 Consisting of a handspring and 2 somersaults, Dipa Karmakar is the fifth woman in history to successfully attempt the Produnova. She scored 15.266 out of 17 for her Produnova during the finals. "I chose it because I knew it was difficult," remarked the risk-taker. Born in Tripura, one of the poorest states in India, 23-year old Dipa Karmakar transformed from a small town girl into a gymnast hero! She isn’t the only athlete in her family, her dad is a weightlifting coach who has trained weightlifters in the Andaman Islands. She was born with flat feet which was a physical disadvantage, but she didn’t let that stop her! From the age of 5, she trained in gymnastics with the help of coach Bishweshwar Nandi, who continues to coach her even now. As a child, it was difficult for her coach to train her due to her flat feet. They tried very hard to get a curve in her feet and eventually they were successful! Being in Tripura, her training grounds would sometimes get flooded. Till the 2010 Commonwealth Games, she would train using irregular sized training mats. Getting funds for training was a difficult task as well. Also, being in a country that barely promotes athletes, she continued to strive towards her goal despite the lack of facilities. There’s no rest for Dipa Karmakar, who has won 77 medals(67 are gold) since 2007! She practices 8 hours a day for 6 days a week with only Sundays off. She wakes up at 7am daily and gets to sleep late on Sundays to allow her body to recover. With her eyes set on the Olympic games, she has no time to chill! Dipa’s diet is strict and involves a whole lot of chicken! The only sweets she is allowed are dry fruits and fruit juices to sip on in between training. Whatever sweet she is fond of eating, she doesn’t get to eat! When asked if she gets a treat for performing well, she replied, "I get only whatever suits my body". For the World Cup in Hungary, "She will take a break of about a week and then we will again start our training and hope to do well in Hungary," Nandi said. The 4-feet 11-inches powerhouse aims for the gold during the upcoming 2020 Olympics in Tokyo. “For me this is my first Olympics. 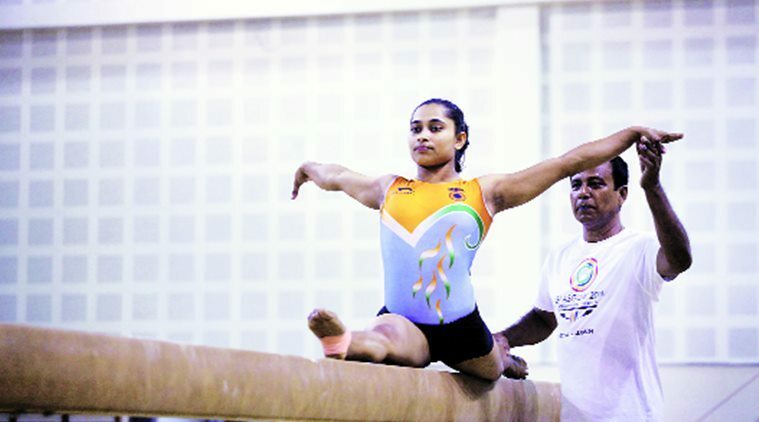 But I don’t need to be disappointed, I will give my best in Tokyo 2020,” Dipa Karmakar said. May we never run out of dreamers and achievers like Dipa Karmakar!